James is proud to announce the launch of this 305-page hardbound, web-supported book. Imagine an amazing book that can easily help everyone enhance their life: mentally, physically, spiritually, emotionally and socially. Imagine this book is a stunning 305 page hardcover with 21 video links to inspire and educate about the incredible power of the mind & the elegance of the imagination. These 3-6 min video clips provide simple, practical tools for personal growth in all areas of life and I do the coaching. The book is here! Release date set. "James Mapes is the rare coach who can both impart knowledge and turn that knowledge into insight and action. IMAGINE THAT! 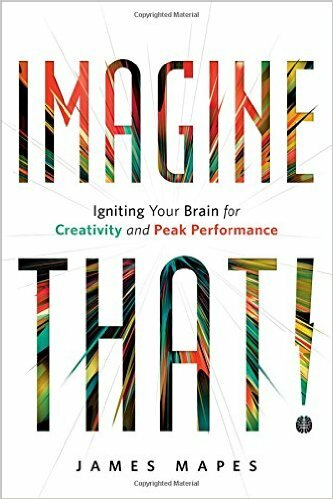 Igniting Your Brain for Creativity and Peak Performance is a wise and powerful book that can help anyone use the world’s oldest values to unlock life’s newest opportunities." "If you want to age with passion and joy and be in the best mental health possible, it is absolutely essential that you reinvent yourself. This is the book to help you do it! James Mapes’s IMAGINE THAT! is provocative, challenging, stimulating, and exciting. His ideas in this book are not only effective—they are invaluable!" "It takes guts to write a book this personal. And this is good. The 'real stuff' is the 'hard stuff' to deal with. James Mapes has not written a 'page turner.' He has written a 'life turner.' Savor it. Please. IMAGINE THAT! Igniting Your Brain for Creativity and Peak Performance has made a major difference to me." “Learning to become a partner in our wellness” is at the core of this unique, interactive program. Participants learn easy-to-master strategies and techniques to enhance their lives on all levels – mentally, physically and emotionally – for on-going wellness. James demonstrates that success can be achieved by a clear understanding of how the imagination works and how people can learn to use it. James incorporates humor, movie clips and an array of audience exercises to get down to a fundamental understanding of what leadership traits are essential to success. "I had the great pleasure to listen to your presentation recently. It was the best presentation I have heard in my life and it was incredibly motivating." "James is one of the most insightful and motivational business speakers I have seen. 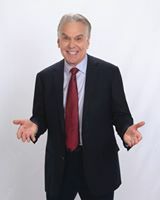 He is personable and energizes the audience with his enthusiastic delivery." "What an inspirational evening! You truly captivated HP's management team with your presentation and opened their minds to 'anything & everything' is possible. Your message is perfect for peak performers." "James was FANTASTIC. I've gotten extremely positive feedback from all our senior executives. His personalization of the material really impressed everyone, as well as his energy. He was a great way to end the conference. James is the ultimate professional." "James Mapes' session IMAGINE THAT! was a huge success. James has a very engaging style and he focused on making sure that audience takes away something tangible. His high audience ratings reflected the impact he made." "I have seen many programs regarding self-help and motivation, and James' program was among the very best that I have ever seen – right up there with Zig Ziglar. You have a most valuable program." "I've seen many conference speakers in my career. James Mapes is one I'll remember. His genuine approach engages you in a delightful mind journey that will improve both your personal and professional life, long after you hear him speak." "I want to thank you for your brilliant Keynote Speech. You did everything that one could possibly do and then more. Your ideas were challenging. You provided practical information which could immediately be implemented by our attendees. You got rave reviews." Highly acclaimed business speaker, consultant, seminar leader and personal excellence coach. For over 30 years, James has been helping individuals, teams and organizations identify and break through barriers to reach their goals and achieve success. His goal is to help everyone make the “quantum leap” toward more creative, productive and confident lives. The results have been nothing short of extraordinary, creating key breakthroughs in both organizational and personal excellence.